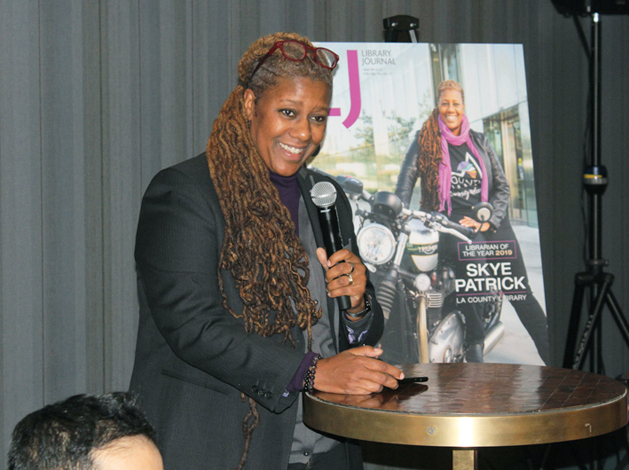 Spirits were high on the evening of Friday, January 25, when LJ celebrated 2019 Librarian of the Year Skye Patrick with a reception at Seattle’s Hotel Theodore. With the announcement of its finalists, the National Book Critics Circle offers a fresh view of publishing in 2018. The National Book Awards shows off its expanding mission with its 2018 award winners. 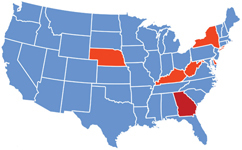 Where this year's star libraries are located and what states are missing. The 11th annual Index spotlights the best of the best of America's public libraries on five key measures of service. 2018 Star Library Index Scores by Spending Category. For the last two data cycles, we have hoped to be able to add Wi-Fi sessions to the five existing per capita statistics: circulation, e-circulation, library visits, program attendance, and public Internet computer uses. 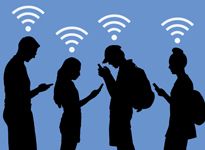 A variety of solutions for counting Wi-Fi sessions in public libraries are available; some for free, and many at modest cost. Linda Hofschire, PhD, director of the Library Research Service at the Colorado State Library, and a 2017 LJ Mover & Shaker, is chair of the newly created Measurement, Evaluation, and Assessment Committee of the Public Library Association. State library representatives share their experiences. Chad Haefele is the Head of User Experience and Assessment at University of North Carolina Chapel Hill. There, he coordinates a team of three full-time staff members and two graduate students in the University Libraries. Their mission is to communicate the value and impact of campus libraries by assessing and improving the university’s web presence, services, and physical locations. ALA's short-list for the Andrew Carnegie Medals for Excellence in Fiction and Nonfiction include highly regarded fiction and nonfiction with a social edge. 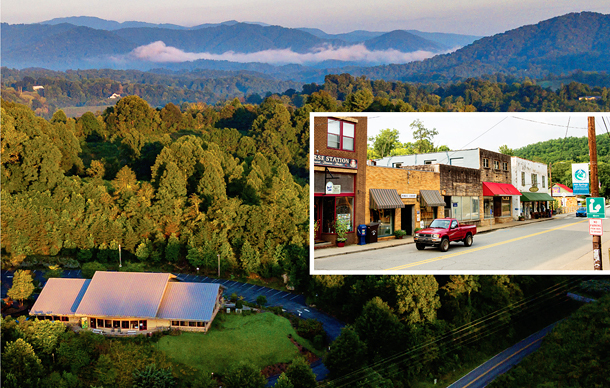 Congratulations to the staff and patrons of the Madison County Public Libraries on taking the honors as the 2018 Best Small Library in America. Rebecca Blakiston is a User Experience Strategist at the University of Arizona Libraries who uses design thinking, systems thinking, and a unique approach to user research to improve the library experience from the perspective of its patrons. 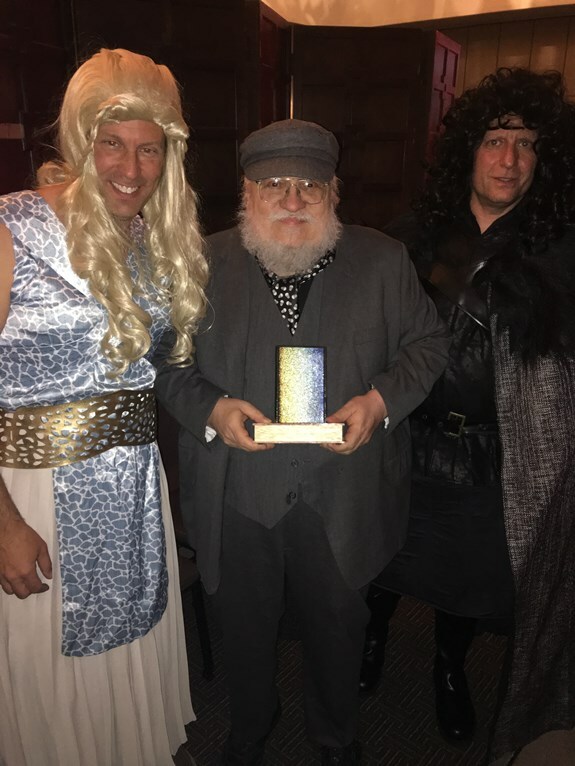 ThrillerFest 2018, the 13th annual convention for thriller writers, readers, and lovers, was held at New York City's Grand Hyatt on July 10-14 this year. Talk about momentum. 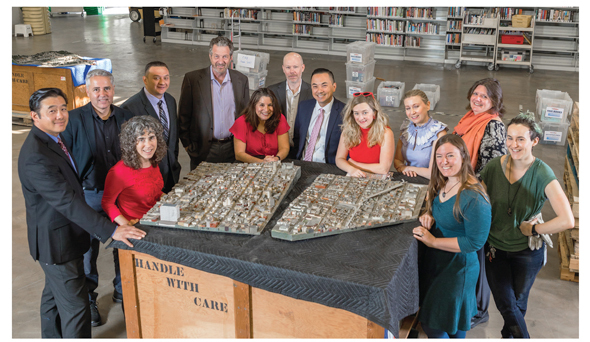 San Francisco Public Library’s (SFPL) laser focus on radical access, led by compassion and with a goal to serve all, has shaped an array of library services that are inspiring, replicable, and continually redefining what the word library means. 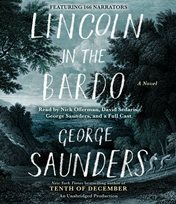 The Audio Publishers Association (APA) announced the winners of the 2018 Audie Awards at its 23rd Annual Audies Gala, hosted by narrator Simon Vance, on May 31 at the New-York Historical Society in New York City. Representing every region of the country, five libraries have been honored by the Institute of Museum and Library Services (IMLS) with a 2018 National Medal for Museum and Library Service. On March 9 the ALA Washington Office announced the recipients of its annual James Madison Award, given to “individuals or groups who have championed, protected and promoted public access to government information and the public’s right to know at the national level.” However, this year’s choice, U.S. Representatives Darrell Issa (R-CA) and Mike Quigley (D-IL)—recognized for their work as cofounders and cochairs of the bipartisan Congressional Transparency Caucus—has drawn fire because of Issa’s opposition to net neutrality and other issues that, critics say, run counter to ALA’s stated Code of Ethics. Students who can confidently analyze primary sources “look at things with a critical eye,” says school librarian Tom Bober. But cultivating this crucial skill can be daunting, as he discovered as a classroom teacher. After attending the Library of Congress (LC) Summer Institute in 2013, however, Bober was armed with strategies—and ready to spread the word. “My mind-set is to think through a process or procedure or problem and connect the threads of a solution,” Amy Mikel says. “Then I keep at it, even if it takes years.” That may explain how Mikel’s in-person class for 20 teachers has in three years become a digital class for more than 1,000. 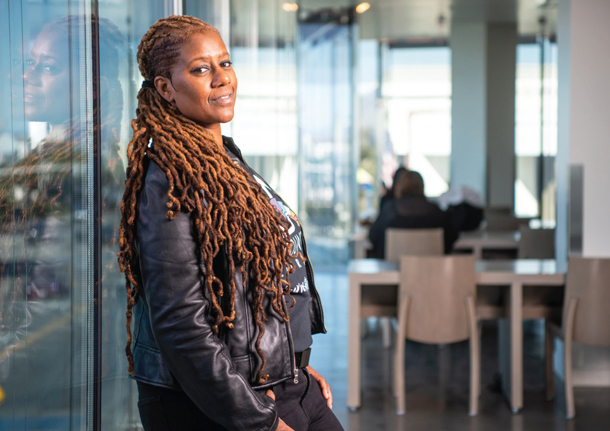 In November 2017, a few months after she became Evansville Vanderburgh Public Library’s (EVPL) civic data scientist—one of the few in the country at a public library—Jerica Copeny volunteered at the inaugural conference of Data for Black Lives at the Massachusetts Institute of Technology (MIT) Media Lab. Having been what she calls “a patient of the Internet” when her mother was diagnosed with a rare brain tumor, Karen Parry knows how difficult it is to find trustworthy health information. So after her mother died in 2009, Parry started Just for the Health of It! at the East Brunswick Public Library. Long before Liesl Toates moved to her new job at the Monroe #1 BOCES School Library System in September 2017, she had made a mark on education in western New York at the Genesee Valley School Library System, where she worked for eight years. In Saskatoon, First Nations people make up nine percent of the population, and Jenny Ryan wanted to find ways to serve those communities. So when she came across the story of a new DC superhero, Equinox—a young, female Cree—she got excited. “I had been trying to find representation of indigenous teens to add to the collection, and I wanted more female representation, too,” she says. 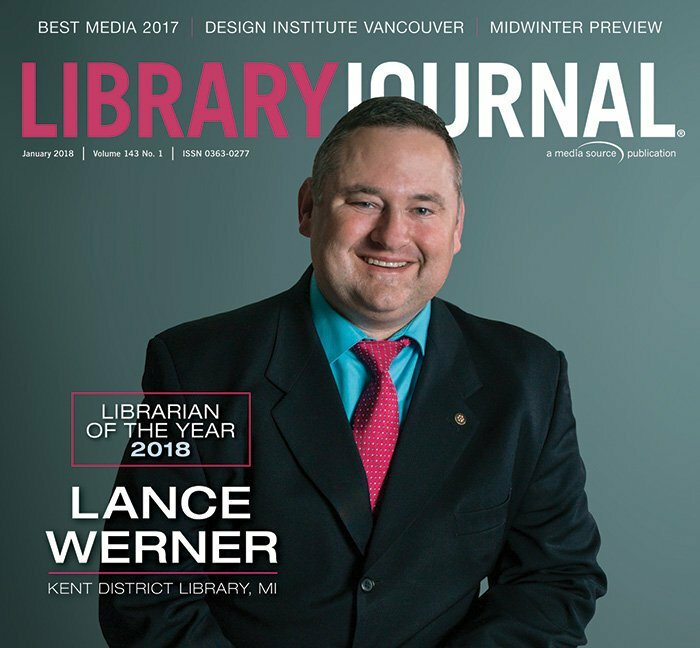 Being named School Library Journal’s 2015 School Librarian of the Year could be considered the crowning achievement of any school librarian’s career. But Kristina Holzweiss is not one to rest on her laurels. If anything, that honor only heralded more inventive and far-reaching initiatives. After 15 years as an elementary school classroom teacher, Fran Glick enrolled in a master’s degree program in instructional technology, with a concentration in school library media. “The moment I entered the program, my inner librarian was awakened,” she says. In 2015, after five years with the Omaha Public Library (OPL), Rebecca Stavick launched Do Space, a blend of community technology library, digital workshop, and “innovation playground” being touted as the first technology library in the United States. The first time Emma Hernández encountered the term digital inclusion was on the application for the Nonprofit Technology Network (NTEN)/Google Fiber Digital Inclusion Fellowship, a one-year program for emerging leaders from digitally divided communities to improve digital access. “I…realized that these words described the difficulties I had faced as a lifelong member of the digitally disconnected masses,” she says. 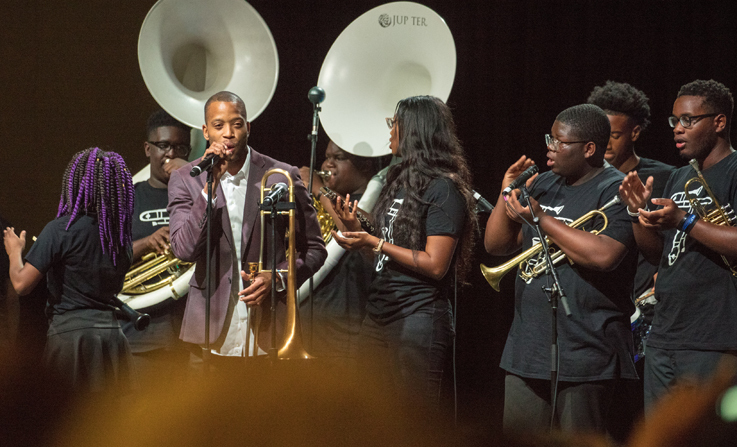 In April 2015, when a group of Philadelphia teens shared their distress over the death of Freddie Gray while he was in Baltimore police custody, Erin Hoopes found a way to help them voice their emotions by creating the Free Library of Philadelphia’s Social Justice Symposium for Teens. Library staff regularly converse with teens about issues such as police brutality and racism, and Hoopes, who has extensive experience designing programs for teens, sought to deepen the dialog. “This is your eulogy./ Un canto sin letras./ Una memoria/—inexpresable.” David Lopez wrote the poem “Eulogy” after the June 2016 shooting at the gay nightclub Pulse in Orlando, FL. It appeared on the website The Brillantina Project, an online poetry anthology for LGBTQ+ writers that Lopez created in response to the massacre. “When these spaces of healing do not exist, we have to create them on our own and show the world that we are here,” says Lopez, who has an MFA in creative writing as well as an MLIS. 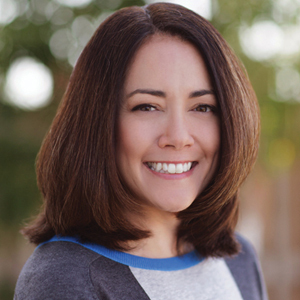 Kristin Treviño, youth and digital services librarian at the South Irving Library, part of Texas’s Irving Public Library, used her knowledge of the impact that connecting young readers with the right book can have to plan an immensely popular event, the North Texas Teen Book Festival. Even for trained information professionals, the world of grants can feel intimidating and opaque. Asking for money is never easy, but information clearinghouses such as the Foundation Center can provide useful insight and guidance, thanks to the efforts of specialists like Sandy Pon. 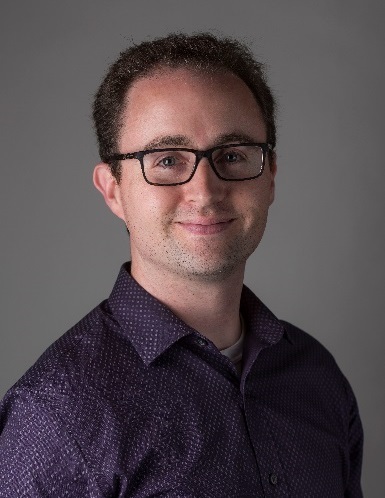 Over the past eight years, Trevor Owens has moved from the Library of Congress (LC) to the Institute of Museum and Library Services (IMLS) and back to LC. The common thread that runs through each role, however, is his ability to see the big picture and think strategically about digital materials and the policies surrounding them. Owens “has the rare capacity to convert critical intellectual engagement with the challenges that libraries face into practical guidance that resonates with a wide range of librarians,” says nominator Thomas Padilla, visiting digital research services librarian at the University of Nevada, Las Vegas. A longtime LJ video reviewer (and 2004 Video Reviewer of the Year), Ellen Druda is best known on Long Island for her decades of work as an ever-adaptive, always innovative technology specialist. Although Druda earned her MLS in 1976, her career began in media, first at CBS News and then at the upstart MTV network. “I loved all the cameras and editing equipment. I remember feeling bristly at being the only female in the tech area!” she says. “Failure is a critical ingredient to success,” says Heather Acerro, head of youth services at the Rochester Public Library (RPL). Her creative approaches to community needs have resulted in positive outcomes for RPL. Despite the challenge presented by Minnesota’s “11-and-a-half months of winter,” as Acerro jokes, she wrote a grant that resulted in the addition of a bicycle-pulled trailer (the first in the state) for library outreach. In 2017, after winning a citywide award for the project, Acerro used the prize money to add an ArtCart, filled with supplies for creative projects. Monday morning movie screenings at the Auckland Central Library (ACL) give the local homeless population—aka “rough sleepers” in New Zealand—a sense of community and normalcy. The DVD shown is voted on by the 30–40 attendees. There’s also a book club of about 20 regulars who are “voracious readers” and often ask for help creating Facebook pages or résumés, says ACL’s Rachael Rivera. “Susan Barnum’s work as a public services librarian at the El Paso Public Library has impacted millions of people,” says nominator Merrilee Proffitt of OCLC. How has she affected so many? By editing Wikipedia. Julie Syler and Rebecca McCorkindale jointly created the Libraries Are for Everyone campaign, a powerful message that emphasizes the welcoming nature of libraries. Shortly after President Trump’s January 27, 2017, ban on travel from seven Islamic countries, Syler came up with the slogan for Library Legislative Day at the Arkansas State Capitol. She reached out to McCorkindale to include her bright, stylized designs of people from various cultural and ethnic groups holding globes. After a few emails, the two women had finished a poster. Our Lives: Surviving the Streets of Fresno, a documentary produced and directed by Lindsay—funded with a grant she wrote—sheds light on homelessness in Fresno County. What makes the film unique is that homeless individuals did the filming; a few took filmmaking training. Screenings included panel discussions that fostered community dialog and raised awareness about the more than 1,600 homeless people in the county. 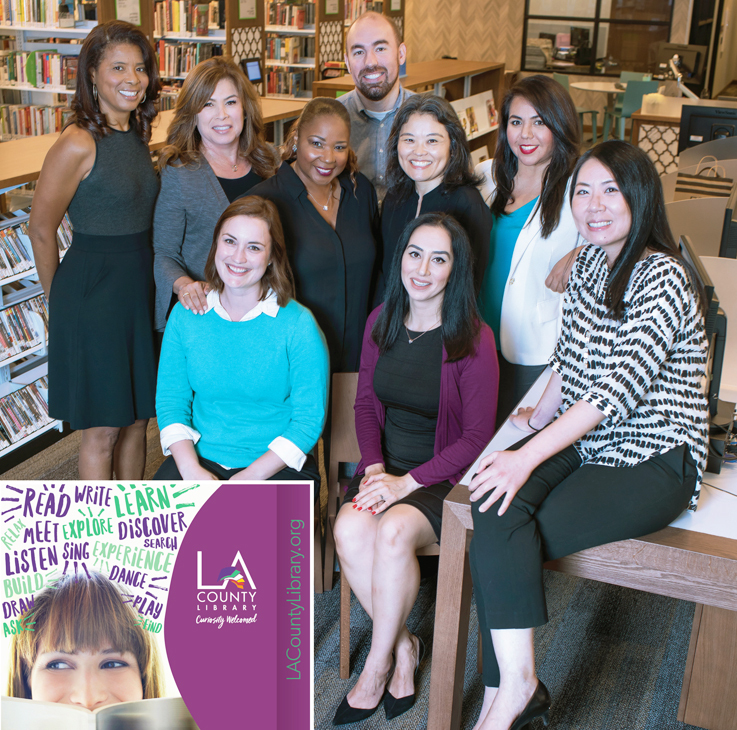 “The longer I work in libraries, the more I see how our mission and core principles are tied to supporting a more just and equitable society,” says Eva B. Raison. This philosophy drives her work at the Brooklyn Public Library, which serves a population that speaks more than 90 different languages and hails from 180 countries, to be as inclusive and proactive as possible. For decades, the Philadelphia neighborhood of Kensington has been notorious for entrenched poverty, a high crime rate, and rampant opioid addiction. It’s the epicenter of an epidemic of fatal overdoses in a city with high rates of such deaths. It’s also home to the Free Library of Philadelphia’s century-old McPherson Square Branch, situated in a small park—nicknamed Needle Park for the addicts who routinely inject drugs there. Roberta Koscielski has a long history with the Peoria Public Library (PPL)—and with Common Place Family Learning Center, a community education nonprofit on Peoria’s south side, where she trained as an adult literacy tutor and eventually joined the board. That early connection set the tone for her entire 34-year library career. The 14th annual Story Prize, given to the top short story collection published in 2017, went to Elizabeth Strout for Anything Is Possible. Strout, who won the 2009 Pulitzer Prize for Fiction for her collection Olive Kitteridge, will take home $20,000 and an engraved silver bowl. The Science Fiction and Fantasy Writers of America (SFWA) announced the nominees for the 52nd Annual Nebula Awards and the Andre Norton Award for Outstanding Young Adult Science Fiction or Fantasy Book. These awards honor the best in sf and fantasy—novels, novellas, novelettes, and short stories—published during the prior calendar year. A Digital Scholarship Outreach Librarian and Head of Digitization Services at Indiana University–Purdue University Indianapolis (IUPUI), Jennifer Johnson is an expert in community engagement—and has collaborated with more than 40 cultural heritage institutions to create 80 digital collections. 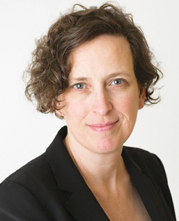 In this interview, Johnson discusses her work in supporting digital scholarship. 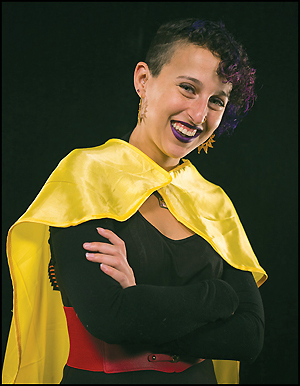 Dedicated to making the library inviting for librarians and students of all backgrounds, LJ Mover & Shaker Cynthia Mari Orozco works to raise awareness of micro-aggressions in librarianship and library anxiety among students. In this interview, she shares her efforts to make the library a space of refuge and community. 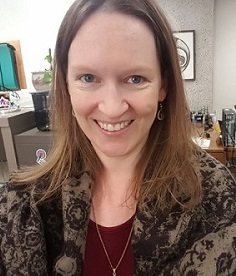 Digital Scholarship Specialist at University of Oklahoma Libraries and 2017 LJ Mover & Shaker, Sarah promotes digital literacy on campus by holding basic programming workshops for faculty and students, helping faculty integrate digital scholarship projects into their classes, and more. Whether or not your library has been given a Star rating, you can benefit from finding peers in your expenditure category and comparing statistics. For the scores for all libraries included in this round of the LJ Index, click through to download a spreadsheet of all libraries with LJ Index scores. Click through for a detailed spreadsheet listing every Star Library award given since the inaugural edition of the LJ Index in February 2009. LJ Index of Public Library Service scores are calculated as described in the steps below. Libraries must meet four inclusion criteria to receive an LJ Index score. Over the ten editions of this article, 606 libraries have been named Star Libraries in one or more years. 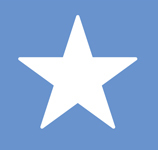 A total of 69 received Stars in each of the ten editions. Of those, 13 U.S. public libraries earned five-Star ratings each and every year. We invited them to comment on the distinction, and many responded. We are pleased to announce the results of the tenth edition of the LJ Index of Public Library Service, sponsored by Baker & Taylor’s CollectConnect. The LJ Index rates U.S. public libraries based on selected per capita output measures. 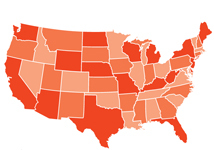 This year, 7,409 U.S. public libraries qualified to be rated in the Index. In this edition, there are 259 Star Libraries, each receiving three-Star, four-Star, or five-Star designations. Click a state on the interactive map, or use the drop-down menu to jump to the Star libraries in that state. 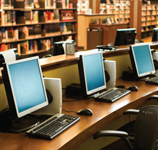 The LJ Index is based on five types of per capita use generated by public libraries: visits, circulation, ecirculation, public access computer use, and program attendance. Star Library ratings of five, four, and three stars are awarded to libraries that generate the highest combined per capita outputs among their spending peers. Gwinnett County Public Library in Snellville, GA, and the San José State University School of Information are cosponsoring the Innovative Librarians Award, which will shine a light on Library Science graduate students who are pushing the envelope to advance library services and going above and beyond to improve libraries. The range of the 23 courses she leads (many of which she designed herself); her passion for teaching; her ability to create online asynchronous courses and make them come alive and feel personal to her students; and the extension of her role as an educator far beyond the MLIS classroom are only a few of the reasons Renee F. Hill has won the 2017 LJ/ALISE Excellence in Teaching Award, sponsored by Rowman & Littlefield. 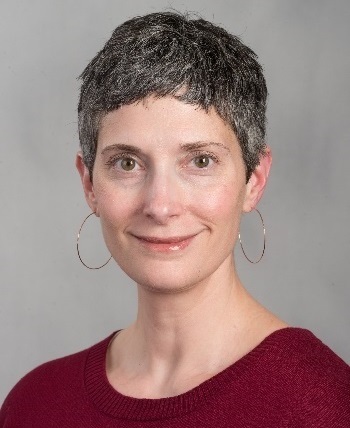 2017 LJ Mover & Shaker honoree Madeleine Charney discusses how libraries can support sustainability science with SAGE Publishing’s SVP of Global Learning Resources. 2017 Mover & Shaker honoree Kelly McElroy of Oregon State University Libraries discusses how librarians can support social justice in their communities with SAGE Publishing’s SVP of Global Learning Resources.